I'm going to fess up to cheating with this mani. I actually did this about four weeks ago and still had it sitting in my draft folder. When I recalled how green it was, it made my life very easy to schedule this for the green prompt. 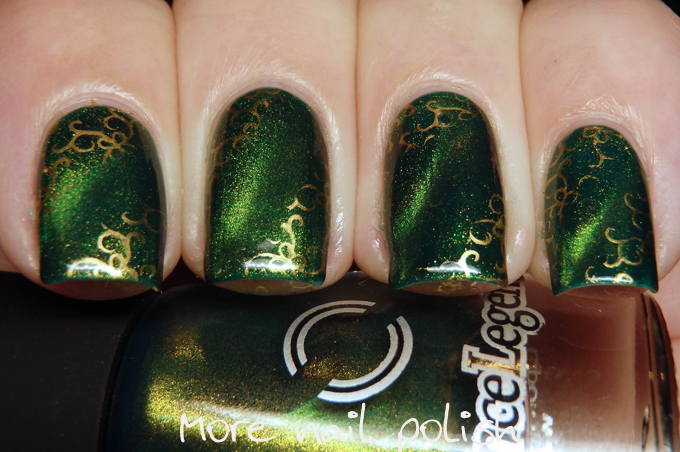 This polish is Dance Legend Licence to Kill from their new magnetic range. 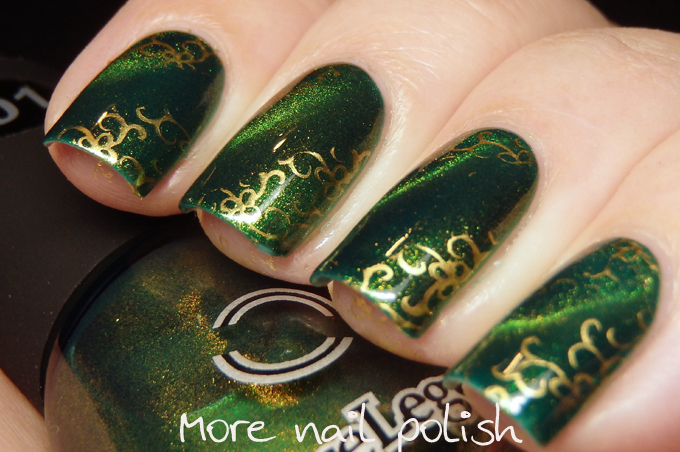 The polish is a rich emerald green with a gold magnetic shimmer. 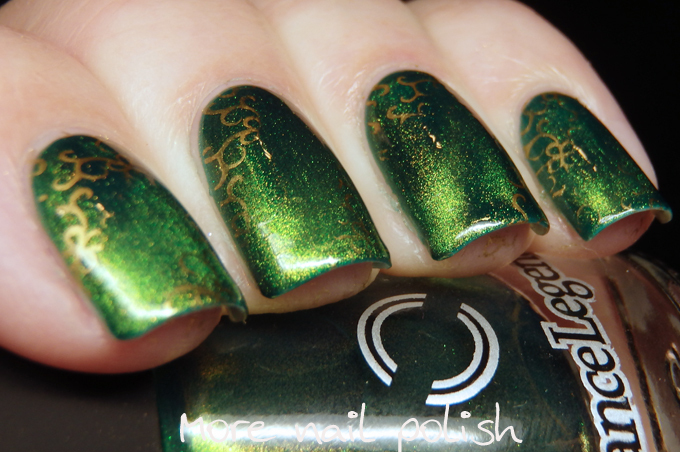 With the magnetic the polish darkens on the edges and become lighter with shimmer where the magnet is closest. Dance Legend also released two new types of magnets, a small bar like one which creates the cats eye effect, and a pen one with a small magnet on the tip than can be used to draw magnetic designs on the nail. The one I used here is the Cat's eye effect, and it is very simple to use. You just hold the little ingot shaped magnet on it's side close to the nail. 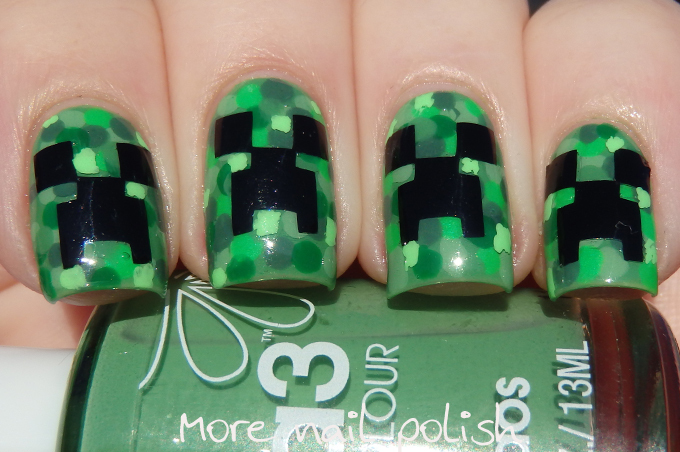 I help is in a diagonal across my nail to get the bar of lighter particles show diagonally. That said, I did find there was a learning curve to using the magntic polish with the cat's eye magnet. Mainly because when I applied top coat, I felt like the effect disappeared. 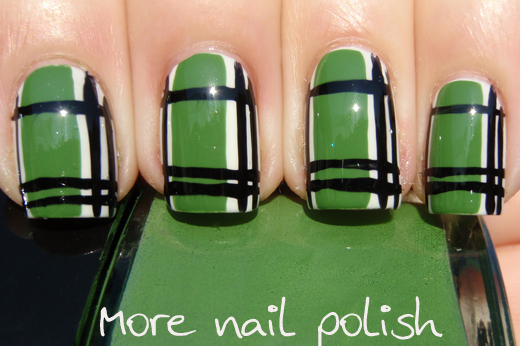 I ended up holding the magnet over the nail again after top coat to ensure the pattern stayed. To make it a bit more interesting, I did some gold stamping. 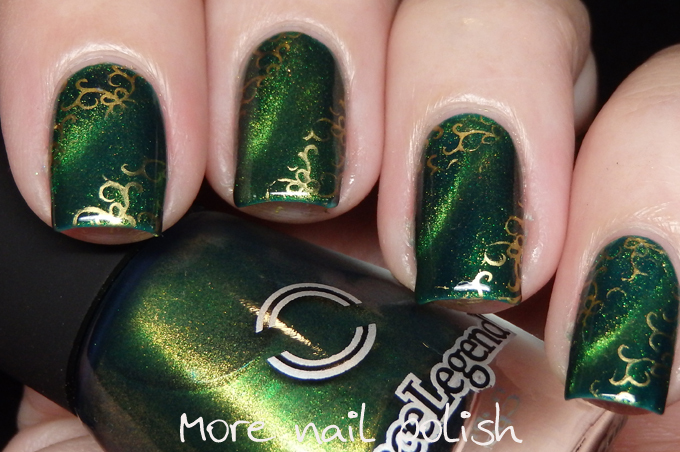 I actually did the gold stamping with clear polish as well, so it stamped gold on the edges and clear through the middle, because I wanted the magnetic design to show. 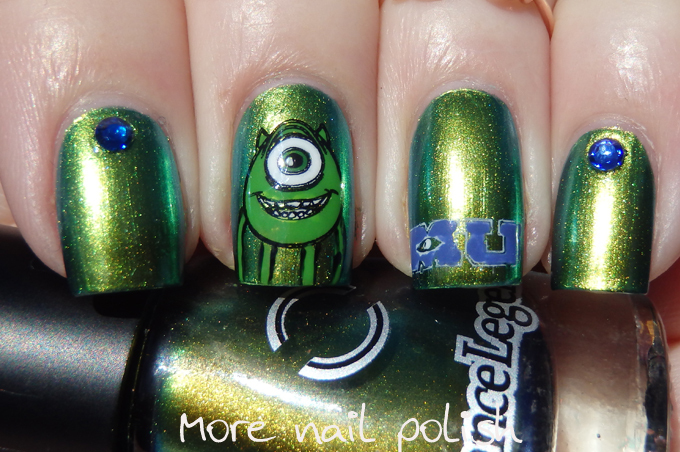 My Green nails from 2013, 2014 and 2015! I love the depth of that emerald polish. Great idea to use the gold stamping as a frame around the cats eye design. wohaaaaaaaaaaaaa.... amazing. I love the stamping with magnetic.I have the same polish and loved it so much. Wow! That's about all the words I can come up with for this awesome look!